Your skin, especially your face and neck which always remain exposed, suffers a lot of damage during the day. The sun, heat, dust, pollution and other factors leave their mark and make your skin look dull and lifeless. So, get a night cream like Kaya Nourishing Night Cream to repair the damage. You’re probably using a moisturizer, under eye creams, and a sunscreen to protect your skin and keep it smooth and nourished? Another very important thing that you need is a night cream, as it helps repair damage and also stimulates the growth of new cells. Night is the time when the entire body switches to repair mode and this holds true for your skin too. This is the time when the damaged skin cells get repaired and the right night cream ensures just that. It rejuvenates your skin and is known to double the moisture content of your skin as well. It also have anti-aging benefits and boosts collagen formation. This skin lightening night cream aids in skin repair overnight. Especially useful for oily skin type, this nourishing cream has ingredients like Azelaic Acid that lightens skin tone to offset tanning or skin darkening caused by exposure to sunlight during the day. This cream comes in a bottle with a pump dispenser and a glass cap. The cream is very light and spreads easily over the skin. The narrow nozzle helps in dispensing just the right amount of cream needed and so the 50 ml bottle lasts log. Apply it gently on your face and wake up to a beautiful face, the next morning. This nourishing night cream from Kaya Skin Clinic, formulated by dermatologists helps reduces tanning, pits, and pimple scars. Irrespective of your skin type it’s important you use a body lotion that keeps your skin hydrated and moisturized throughout the day. It’s hard to find a lotion that matches your skin type and keeps it from becoming too oily, greasy, or dry. Kaya’s Daily Use Body Lotion is here to the rescue! After a shower, it’s always necessary to apply some body lotion to keep your skin protected from the sun, dust, and dryness. The absence of body lotion makes the skin dry and itchy. Applying a body lotion usually makes you feel sticky and uneasy; most of the body lotions out there don’t have a good after-application effect. Daily Use Body Lotion, a Kaya product keeps its promise of protecting your skin all day. It keeps your skin hydrated for a longer time compared to the other products in the market. It’s also perfect for all skin types. Take a coin-sized drop of the lotion and spread it between your palms and gently apply it a circular motion on your entire body. Massage well until the lotion has been absorbed completely. The moisturizer has a pleasant smell that keeps your skin hydrated for a good 24 hours, through its advanced moisture-lock formula. Why should you choose Kaya’s Daily Use Body Lotion over the others? 1. It contains natural ingredients and vitamins like mango butter, shea butter, and rose extracts. These contents that will lead to a visibly healthy skin. 2. 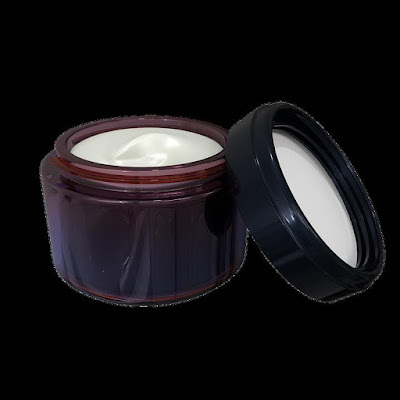 The moisturizer gets completely absorbed into your skin leaving it hydrated and soft. 3. Kaya’s Daily Use Body Lotion leaves a matte finish on your skin, not making it obvious that you’ve applied lotion. Absolutely grease free and well-blending lotion. 4. A small drop of Kaya’s Daily Use Body Lotion can be used to cover a large area of skin. 5. It’s suitable for all skin types and weather conditions. 6. Daily Use Body Lotion, a product by Kaya also helps in skin lightening as it contains lactic acid. 7. If your body is infected with acne you can still use this moisturizer, as it doesn’t contain many comedogenic ingredients.